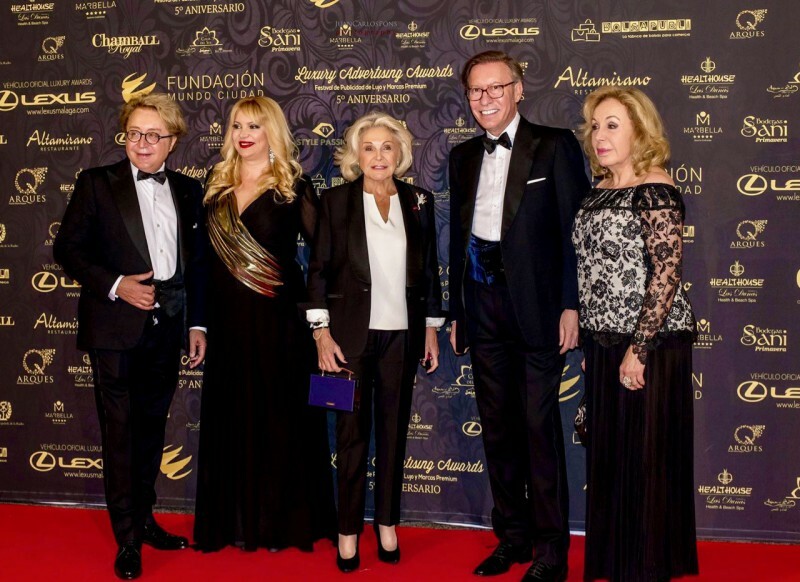 The Luxury Advertising Awards had its 5th edition on Friday 15 of December this 2017, at Palacio De Congresos De Marbella receiving the VIP of the city and the most important firms and brands of the luxury sector on the country. Friday 15 of December this 2017, from 8 pm, at the Palacio de Congresos de Marbella, the 5th edition of the Premium Brands Festival, Luxury Advertising Awards took place awarding the best advertising campaigns of the year in Spain in the Luxury and Premium sectors followed by a cocktail after the main event. The Palacio de Congresos Marbella became the Spanish capital of advertising and luxury with the celebration of V Luxury Awards, where the best advertising campaigns of year in Spain. 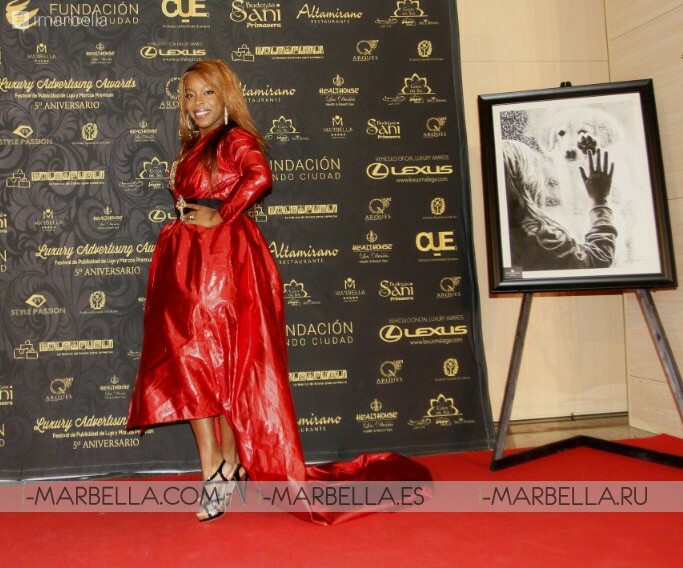 The gala conducted by television Sonia Ferrer, started with the traditional Photocall on the red carpet in which the VIP of the city and great personalities such as Victorio And Lucchino, Gucci, Patricia Betancort, Sonia Ferrer, Princess Beatriz De Orleans and Yanela Brooks, who was awarded the Special Prize of the Spanish Academy of Radio and premiered her latest musical work, were received by the Media. Victorio & Lucchino are on stage to receive the prize of the honorific section of the list of winners, where they are accompanied by the presenter Patricia Betancort or the publicist Javier Piedrahita. In addition to personalities, the prestigious Italian firm GUCCI is honoured with the Prize for Responsible Luxury. Counting also with the presence of the Honorary President of Luxury Awards, Princess Béatrice D'Orléans. This is an unprecedented party to celebrate the fifth anniversary of this event and counts with the official sponsorship of the luxury brands. The exclusive Lexus automotive official dealer for Malaga and Marbella, Cumaca Premium is Official Vehicle Luxury Awards 2017. For its part, the wonderful Naturhouse Healthouse Las Dunas 5 ***** Gran Lujo, one of the best resorts in the country, was awarded as Official Hotel Luxury Awards 2017. Both brands, among others, were responsible for the Luxury Awards celebrities of this year to feel that their stay in Marbella is luxury, in both in terms of travel and accommodation. With all tickets sold and more than 600 assistants, this ceremony awards rocked the world receiving the most important figures to be awarded for the best luxury advertising campaigns of this season. Fundación Mundo Ciudad, the event organizer led by María Cansino, develops through this festival an important social action valued at over € 200,000 in training scholarships for the winners, who can take a training program related to their professions and a specialty in Corporate Social Responsibility. Luxury Advertising Awards is a festival full of Glamour, with now 5 years on the road, where the importance of the communication strategy of any luxury or premium brand is valued, as a very effective way of transmitting the philosophy of the company and at the same time helping to realize an approach to clients and social referents.